Workman Publishing Company, 9780761187356, 22pp. In Rainy Day, Glub-Glub worries so much about getting wet that he almost misses all the fun of frolicking in the rain. 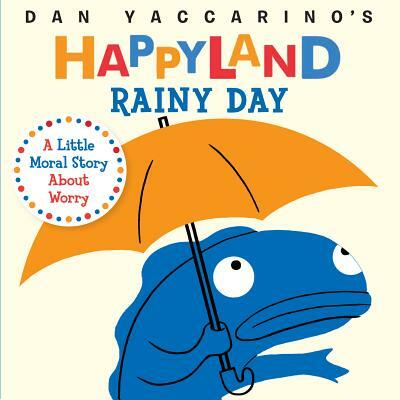 DAN YACCARINO is the author of Five Little Pumpkins and many other children’s books; creator of the Parents’ Choice Award-winning animated TV series Oswald—chosen by Time as one of the top 6 shows to watch on cable—and the Emmy-winning Willa’s Wild Life. His awards include the Bologna Ragazzi, The New York Times Top 10 Best Illustrated, and an ALA Notable award.